rivvibe™ is a third generation family recipe. 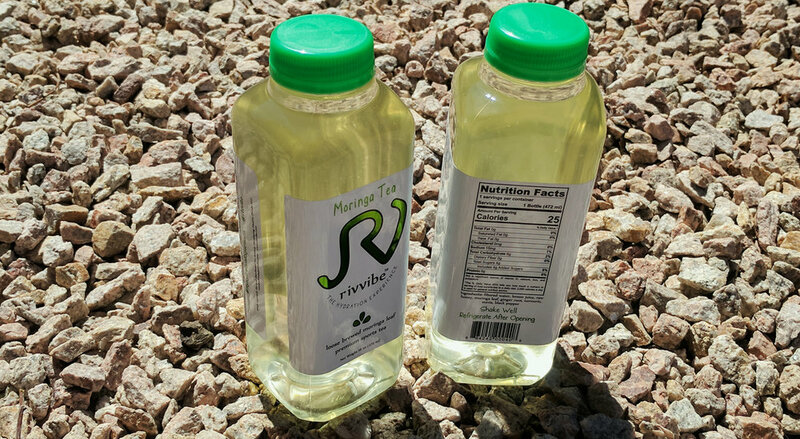 Before the drink was bottled and named rivvibe™, it was an unassuming moringa tea that the Rivera family would use to stay hydrated, refreshed, and energized. It was an iced tea on a hot summer day or steeped in a warm mug during the cooler months. We carefully adapted the Rivera family recipe to maintain the original integrity of the drink, along with the 100% all natural ingredient list, so we could bring a new hydration experience to people living active lifestyles. Moringa oleifera, also known as the Drumstick Tree, is the main ingredient of our Sports Tea. This tree is growing rapidly in popularity due to it's high level of nutrition and versatility. We brew the moringa leaves with turmeric, ginger, and lemon, with just a touch of honey, creating our powerhouse Sports Tea. Because of our formula and sealing in the freshness of the brew, there is no need for artificial ingredients or preservatives to maintain flavor or freshness. With powerful antioxidants and electrolytes that occur naturally in our ingredients, rivvibe™ creates a crossover drink category, a Sports Tea. We encourage you to compare rivvibe™ to current sports drinks. You don't need need all the extra sugar, sodium, and calories to give your body that extra boost before and after your workout. At just 5 grams of sugar and 25 calories, drink rivvibe™ anytime, guilt free. With such a low sugar and carbohydrate count, we are excited to announce that rivvibe™ is diabetic friendly, as well. Are you a retailer interested in selling rivvibe™? We would love to have you as part of our growing family. Contact us using the link below. Want to know when rivvibe™ becomes available in your area? Sign up for our monthly email newsletter for all things rivvibe™. *Any statements made on external websites about the proposed benefits of moringa are not monitored, condoned or sponsored by ADHD, LLC.